The premium 3" Olympic Hockey Medals are the hockey awards your elite players will cherish for years to come! At 3" in diameter, these exceptional basketball medallions feature dual plating of silver chrome and gold accents. 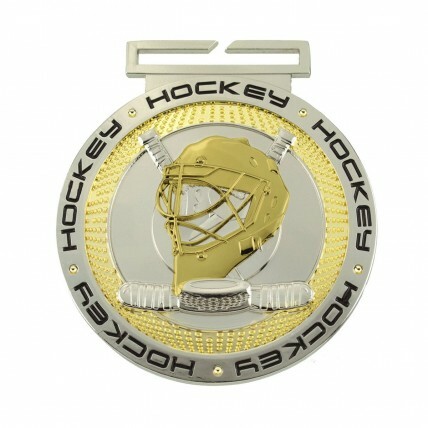 A goalie mask and puck fills the middle with the text HOCKEY ringing the edge of the medals. The back includes 5 lines of your custom engraving for FREE! 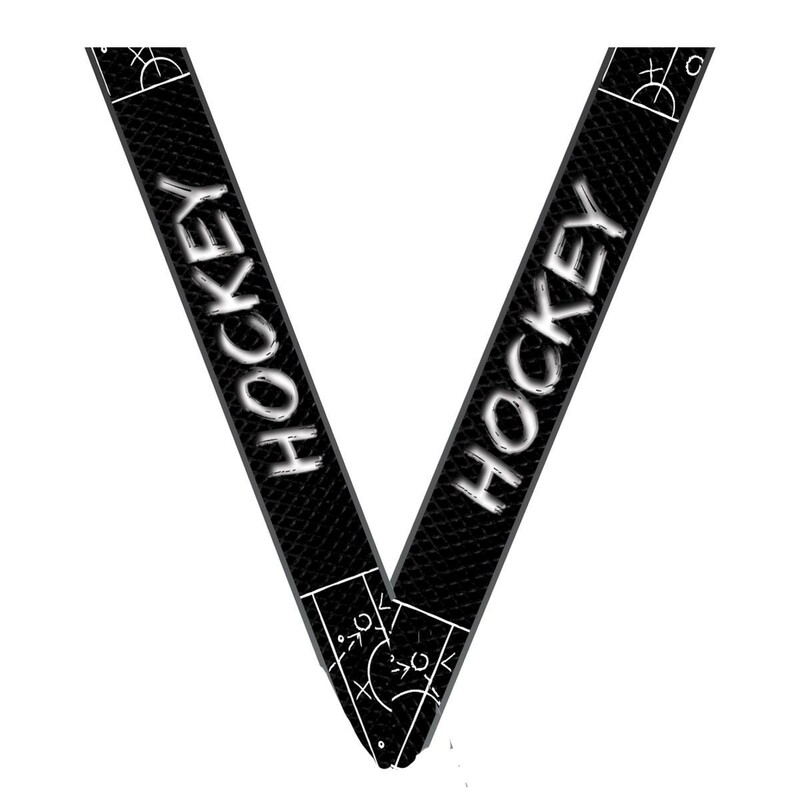 Includes a flat, slip-in Olympic-style neck ribbon in your choice of hockey print, or stock colors of red/white/blue stripe or solid blue, red, white, black or green.